My Business grows based on my Performance and Reputation. 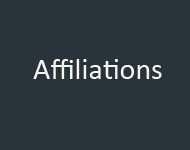 I have personally worked with the following Affiliates, Trust them and Strongly Recommend them for your consideration. Mike is the founder of Sales Sense Solutions, and provides Training, Coaching and Consulting for Sales Professionals and their Companies. BBNY Mergers and Acquisitions is a full-service mergers and acquisitions advisory and intermediary firm serving mid-market business sector. Complemar Print-Warehousing, Fulfillment, Kitting, Print Services, Contract Packaging and E-Commerce Solutions. Executive Coaching, Organizational Development, Ethics Education. EEP Quality Group- Quality Services and Training. Resources to locally support Customers across the country.